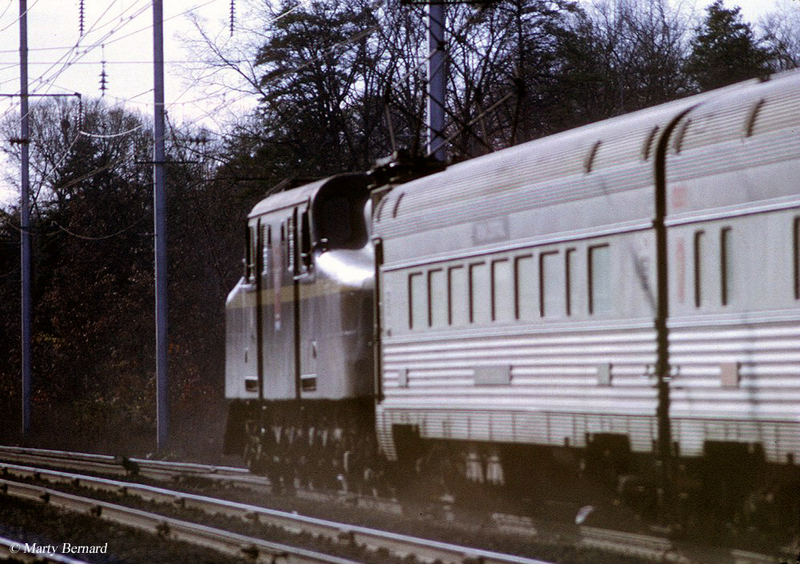 The Pennsylvania's Senator was a regional passenger train that served its heavy commuter market along the Northeast coast between Washington, D.C. and Boston in conjunction with the New Haven Railroad. Interestingly, the train was a late addition to the PRR fleet although it became quite successful for its high speeds, frequent service, and reliable schedule. In some ways the train had a sister route in the way of the Congressionals, although these trains did not serve exactly the same cities (but did run on the Northeast Corridor). For a train which covered just over 400 miles it provided an incredible level of service. While the train remained on the PRR's schedule through the merger to Penn Central by the takeover of Amtrak in 1971 it was a far less prestigious service. The PRR's Senator officially began service from Washington Union Station on July 14, 1929 and at the time operated with standard, heavyweight equipment. For most of the trip the train was operated electrically although with the New Haven not electrified north of its namesake city power was provided by steam locomotives. 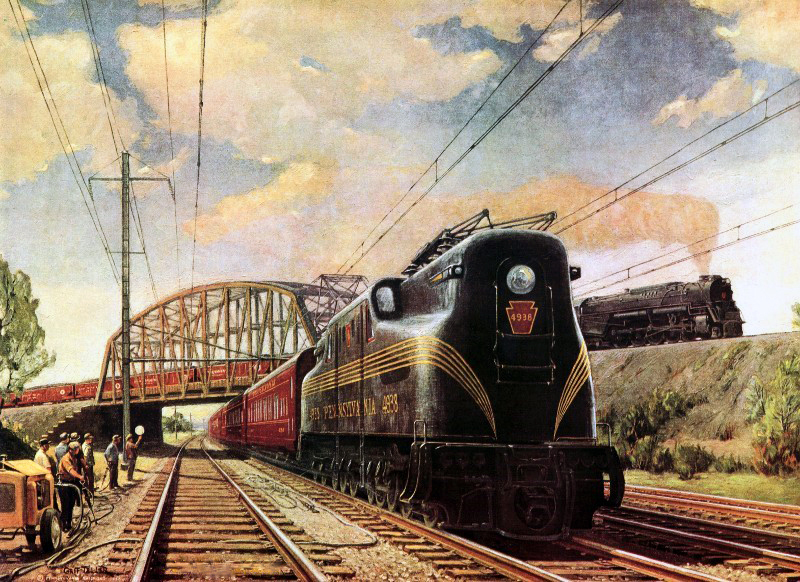 In 1935 the PRR's portion was upgraded with the railroad's legendary Class GG1 electrics. 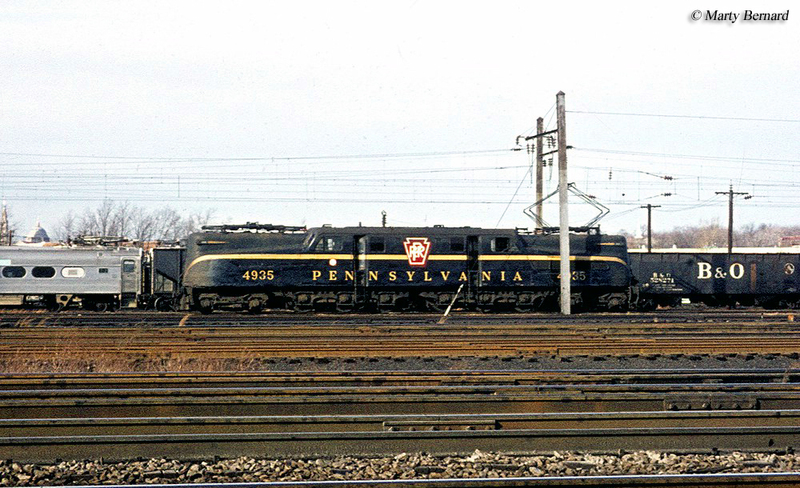 While just a year earlier streamliners had been introduced to the public the Pennsylvania took a quite conservative approach to the fad outside of its long-distance runs (dubbing them their "Fleet of Modernism") like the flagship 20th Century Limited. Interestingly, even through the 1940s the PRR did not streamline virtually any of these regional trains. This changed, however, in 1951 when the Pennsylvania decided to upgrade the Senator and Congressionals purchasing several new cars (64 in total) from the Budd Company. Featuring the builder's classic fluted stainless steel design, the shiny new cars with a touch of Tuscan red pinstriping with gold lettering debuted on the two trains on March 17, 1952. With matching red and pinstriped GG1s the new trains were quite a handsome display speeding along the coast. For the Senator it offered passengers not only standard coach seating but also included parlor service and even a full-service dining car offering exquisite menu options for what essentially was merely a daytime run. Of course, this was in an era far different from today when rail travel was meant to be as enjoyable and relaxing as possible during your journey. In many ways, the PRR's two corridor trains (which included two complete trainsets, each) offered the best service of any railroad. Of course, the railroad essentially controlled the Washington, D.C. to New York market thanks to high-speed, Northeast Corridor. To serve Boston the Pennsy worked in conjunction with the New Haven. However, some other lines did try to compete in this region such as the Reading's Crusader and the Central Railroad of New Jersey. Of course, these railroads only provided regional service to a few cities and not the entire corridor. The only true competitor was the Baltimore & Ohio and its fabulous Royal Blue. Unfortunately, with no direct connection into New York the B&O finally bowed to the PRR as well after 1958. The train could usually complete a run from Boston to Washington, D.C. in just over 8 hours departing at 11 A.M. and arriving by 7:15 P.M. that evening with stops along the way including New Haven, New York, Philadelphia, Newark, Wilmington, and Baltimore (the New Haven also offered connecting service to Springfield, Massachusetts). The eastbound version was listed as #176 while the westbound was #177. Despite its fourteen to fifteen different stops the Senator could still maintain an average speed of nearly 55 mph, quite impressive along such a busy corridor. This was in no small part thanks those GG1 electrics. As patronage for rail service waned through the 1950s and into the 1960s, coupled with the advent of new interstates and local air service the Congressionals and Senator slowly lost interest among commuters looking to either drive themselves or reach their destination faster via plane. By the time of the Penn Central merger in 1968 service along the corridor was a far cry from fifteen years prior and was essentially an all-coach affair. However, the name survived under Amtrak and through the 1970s before finally it was discontinued. Still, the route it operated remains in daily use today continuing to serve commuters and passengers with the fast Acela and other services.